Special Offer: Get 20% Off with Registering With Code "FINTECHNEWSSG20"
It’s about bringing people together. 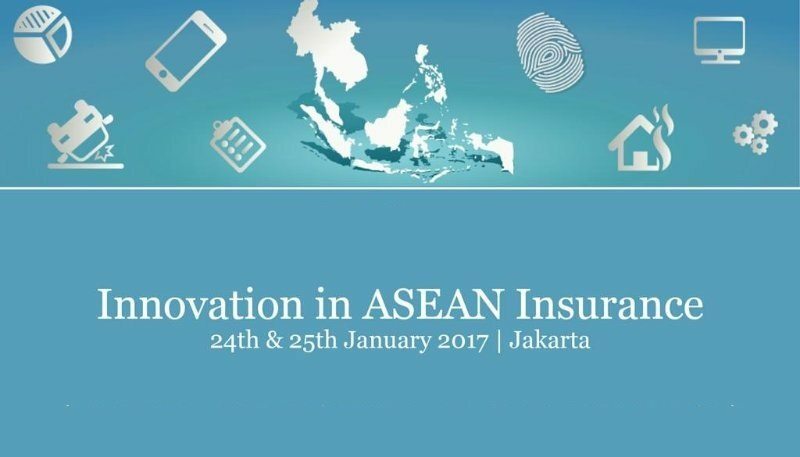 Innovation in ASEAN Insurance is the premier platform to learn from industry leaders and discover key lessons from across the region. Presentations, case studies, and ask the expert sessions will help you successfully navigate your way through an ever-changing environment. The 2017 event will bring exclusive content and thought-leadership from senior figures at the biggest insurance companies and the market changing InsurTech companies in the region. Bringing all corners of the insurance ecosystem together this event will provide practical knowledge on how your organisations can keep pace to drive success. With Code IZK01FNS20 you will get 20% discount. Join our 12th Annual Loan Origination Excellence Conference 2017 – the longest running Lender-focused conference in Australia. Discover the latest tools and strategies for modern loan origination from 16+ lending experts from Singapore, Australia and India, including HSBC, India Bulls, ANZ and even P2P and Fintech Disruptors Hashching, Joust and ThinCats. Learn to optimise loan processes, maximise customer experience and win market share, with the latest industry game changers including Gamification, Robotic Process Automation, Omni-channel Banking and more. Build your professional network of decision makers and executives through interactive sessions, panel discussions, solutions clinics, and champagne roundtables, and see how other leaders are addressing modern lending challenges. Learn tried and tested methods from best practice case studies, including how International lender India Bulls achieved a Two-Day Mortgage process. Don’t miss this must attend event held on 13–15 February 2017 in Sydney, Australia – click here to find out more! Recent incidents such as Malaysia’s 1MDBN probe and the Panama Papers case have highlighted significant flaws in financial institutions’ internal processes when it comes to financial crime monitoring, detection and compliance. As Asia’s regulators and law enforcement stepped up their supervision, inspection and enforcement efforts, banks, insurance companies and other financial institutions alike are under pressure to review their processes, controls and systems to ensure compliance in an increasingly dynamic and borderless market environment. Part of the 2017 Financial GRC Week, the AML & Financial Crime Asia Summit brings you the industry’s best practices on combating financial crime – from forming collaborative public-private-partnerships, uncovering the latest threats in AML, frauds, cybercrimes to how financial institutions can leverage technologies such as blockchain, data analytics in their fight against financial crime. Join your peers in February and learn how you can enhance financial crime compliance in your organisation. 2. Recent Financial Crime Incidents – What Went Wrong? Compliance in financial services has grown increasingly challenging with an evolving regulatory landscape, rapid financial globalisation, and increased digital proliferation. Coupled with a high level of regulatory scrutiny and ethical expectations, financial compliance has now moved up the boardroom agenda across banks, insurance, and other financial institutions in Asia. How can you ensure financial compliance in a dynamic business environment? Financial Compliance Asia Summit 2017 will bring you the latest regulatory updates, explore effective compliance processes and review practical risks management strategies to enhance compliance in your organisation. Join us in this event to network with like-minded peers and learn from industry experts on how you can comply in the era digital globalisation! Emerging countries such as Myanmar are banking on mobile money operations to propel the country further forward. Financial inclusion is essential to economic development in such emerging markets where successful implementation of digital finance systems could increase GDPs of all emerging economies by 6% for a total of $3.7 trillion by 2025. 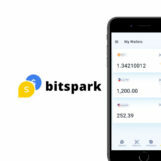 Digitization will bring millions into the financial system where users can leapfrog straight into mobile money platforms especially in countries where trust and penetration in traditional banking methods are low. With landmark updates in regulation such as Wave Money in Myanmar finally getting the approval, experts are optimistic that the 90% unbanked - currently extremely financially active but outside of the formal banking system - will eventually be included through mobile money. The 8th Mobile Money & Agent Banking Summit 2017 will once again be the cornerstone platform and blueprint for all stakeholders to address common issues such as the distribution networks, workforce and capacity building, inadequate physical and technological infrastructure, market readiness and analysing regulations. The latest joint ventures and partnerships will be highlighted, case studies shared and strategies robustly debated. New trends, opportunities and technologies will be showcased, once again providing the perfect platform for extraordinary networking opportunities for all Summit participants. For enquiries or registration, please contact Jose at +65 6846 2366 or jose@magenta-global.com.sg today. The Asia-Pacific (APAC) region is becoming the world’s center for digital transformation and innovation. With 2.8 billion Internet users, it’s already the largest e-commerce market in the world. And by the end of 2016, the region is expected to account for more than 40% of global mobile data traffic. Mobility spend in APAC (excluding Japan) is set to become the largest in the world with growth from $514 billion in 2015 to $578 billion by 2019, according to IDC’s predictions. At the 3 Day Masterclass in Cards and Payments, our expert trainer will walk you through the complex world of the global cards and payments industry. You will be walked through the dynamics of modern cards and payments, emerging markets, fraud, mobile payments and operational issues. The fifth annual Big Data & Analytics Innovation Summit will bring together over 35 industry speakers, 250+ data pioneers across a variety of industries. It provides you with access to 20+ latest case studies and cutting-edge knowledge with lessons and approved best practices. Wherever you are on the big data journey, you will be inspired by the experiences and insights shared by our speakers. LendIt USA is the world’s biggest show in lending and fintech, and in 2017 the event returns to New York City, taking over the Javits Center on March 6-7. More than 5,000 attendees from over 40 countries will gather to share ideas, network and learn the latest in all things lending and fintech. With 16 tracks of content, including digital banking, block chain, insurance, and auto financing, as well as our annual PitchIt @ LendIt startup competition, there truly is something for everyone. Don’t miss it! Fintech News Singapore readers save 15% with VIP code FNSingapore16USA >> Register now! More info is available at www.lendit.com/usa. Join this special event featuring global Hyperledger Executive Director Brian Behlendorf giving the scoop on Hyperledger Project developments globally, plus perhaps a technical presentation and panel. 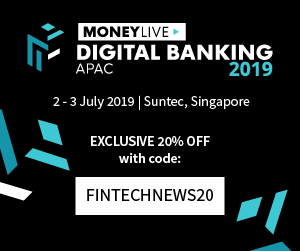 Get 20% Discount with Code "SMK02FNS20"
The Future of Digital Banking: Asia Pacific brings together 150+ bankers from across the Asia Pacific region and beyond to share insights and discover innovations in banking for the digital age. Now in its second year, this banking conference will provide a platform for key decision makers at global incumbents, local banking players and start-ups to share the most exciting developments in banking and how it will affect the future for banks, FinTechs and the customer. Get 20% Discount on all Tickets with Code "SMK02FNS20"
This session is designed to provide an opportunity to catch up with your peers, to see what's going on in the New York and International FinTech scenes and to tell us all about yourself and your own work. Click here for the address details and futher information. The conference builds on previous, highly successful events in Bangkok, Beijing, Dubai, Jakarta, London and Mumbai, and brings together over 300 banks, independent deployers, processors, ATM hardware and software vendors, CIT companies and other service providers. Pioneering banks will share their self-service banking initiatives, while leading industry suppliers will showcase their latest technology solutions in the dedicated exhibition area. At the core of the two-day conference is a high-quality speaker programme, covering a multitude of themes such as digital transformation, biometrics, video banking, ATM innovation and omnichannel banking. The agenda includes presentations from The Central Bank of the Philippines, Spain’s Santander and Malaysia’s Maybank. In this event, we want to continue the industry regulatory dialogue with incumbents and innovators. Incumbents include regulators, banks and established providers. Innovators are nimble newcomers with a differentiated technology-based solution or an innovative business model. We will focus on key topics where discontinuities exist, where industry cooperation is required and/or where competition would be essential. This is where the “frontiers” exist today and where we need to concentrate our “push”. WHAT IS THE FINANCIAL INCLUSION SUMMIT ASIA? Financial inclusion will only truly be a reality when we share, collaborate and partner. The conference programme and format has been designed specifically with this in mind featuring inspirational stories, innovative ideas and fiery debates. Over two days we will bring together the people who, really, can drive the change needed to bring financial inclusion to Asia. Fintech startups are a very important part of the solution. We will be inviting the very best of these to present their ideas throughout the event. 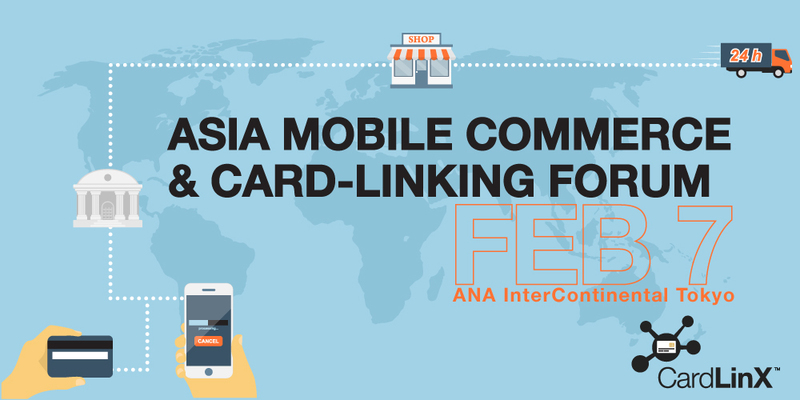 It is a new event built on 20 years of experience – a seamless continuity from Asia’s largest and longest running conference focused on cards and payments, to a dynamic summit and large scale exhibition bringing together the converging worlds of ecommerce, retail and payments. 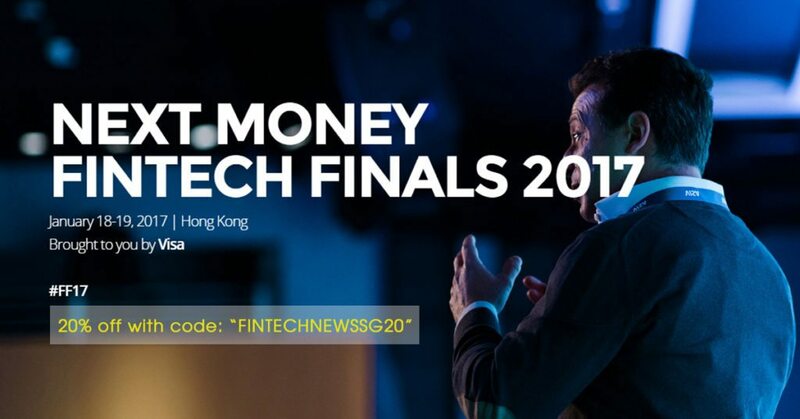 Register now with 20% discount code from Fintechnews Singapore: "FS20". And don't forget to update information of the event here. For 6 years the AVCJ Indonesia Forum has been THE meeting place for the leaders of the alternative investments industry in the region. From the founders of Indonesian private equity and venture capital firms, the emerging startups driving the consumer wave to regional and global institutional investors, AVCJ Forum is the ecosystem curator and the place to discover new ideas and business partners. Join the AVCJ Indonesia Forum to hear from local and regional private investors sharing their view on the Indonesia's burgeoning market for a day of thought provoking discussion and networking. Fireside chat: Is the fintech revolution sustainable? Indonesian LP allocation: One for the future? For conference brochure, please download here. FinTech News reader can enjoy 10% off the standard rate to participate AVCJ Indonesia Forum. Please register here with code "FTN_INDO17"
The RE•WORK Deep Learning in Finance Summit, Singapore will be held on 27-28th April. It will be a multidisciplinary event bringing together data scientists, engineers, CTOs, CEOs & leading financial corporations to explore the impact of deep learning in the financial sector. The event will host over 20 unique speakers from the frontrunners of the industry and over 200 attendees. Notable speakers in attendance are representatives from HSBC, BNP Paribas, AXA, NTUC Income and National University of Singapore. Topics such as financial forecasting, risk prevention, algorithmic trading, financial compliance and robo-advisors will be addressed in an exciting line-up of presentations and panels. Explore the latest technology trends and innovations and register with the discount code FINTECHSG to get 20% off. Digital transformation that boosts insurance penetration and claims market share. Join insurance innovators to create a strategic advantage that will leave your competitors wondering what happened! CoinsBanks is back with its second annual event, the CoinsBank Blockchain Cruise 2017, which will be held in one of the best and latest cruise ships, the Anthem of the Seas. The cruise, which begins on May 25, 2017, will include two full days of conferences, business meetings, two days of exclusive workshops, and four days of adventure and exploration of places such as Haiti, Puerto Rico, St. Maarten and Bermuda. Among the topics that will be covered: blockchain in financial services, investment in blockchain, blokchain in banking, cards systems in blockchain services, cybersecurity, and many others. The boat leaves from Cape Liberty, New Jersey on May 25, at 4pm. Don't miss this coolest cryptocurrency event by register here and get 10% discount with code: "CBC10FS" now! Yet, many early adopters in Asia face challenges in getting started; from selecting the right processes, vendor selection to defining appropriate operating and governance models. Advanced players who are interested to roll out RPA on an enterprise-wide scale are also uncertain on the best deployment strategy. A 1st in Asia, the Robotic Process Automation (RPA) Asia Summit will feature cutting-edge discussions led by early and advanced RPA adopters on how your organisation can navigate this tricky terrain to ensure success for your RPA projects. Get 10% Discount with Code "Fintech_10"
As a Fintech News Subscriber, you will also receive a $100 USD discount on your pass when using the discount code "FSG100". Review the conference brochure and register now here. The annual Chief Innovation Officer Summit is happening in Singapore on July 4 & 5, at the Grand Copthorne Waterfront Hotel! The summit offers a unique opportunity to learn from the best minds on how to bring innovation into business decisions, how to deliver better operations, products and services, and how to adapt your business and stay competitive within your industry. Limited complimentary passes for C-Level executives available, register your interest here. After China and India, Southeast Asia is poised to become the next battleground for private equity and venture investors, as global players looking to expand into the region. The investment thesis is brimming with potential but in practice market fragmentation and political instabilities have made barriers to entry problematic and minimised deal opportunity. However, deal activity is increasing and investor appetite for exposure to Southeast Asia is on the rise. Strategically, companies in the region offer a number of opportunities serving the local market and as an exporter of goods in demand across the region. The 7th annual AVCJ Singapore Forum will provide an unrivalled in-depth analysis and debate on the latest trends, challenges and opportunities for private markets investors attracted to Southeast Asia, as the next destination in their quest for diversifying their portfolios and delivering alpha. FinTech News reader can enjoy 10% off the standard rate to participate AVCJ Singapore Forum. Please register here with Code "AVCJSGFinTech10"
LEARN ABOUT THE LATEST BLOCKCHAIN 2.0 PROJECTS, THE FEATURES THAT SET THEM APART AND HOW TO LEVERAGE THEM FOR PERSONAL OR BUSINESS USE. With the growing interest in bitcoin and its impacts into the global marketplace, this workshop takes on an advanced level of understanding Bitcoin and how it works under the hood. Singapore has been rushing to reinvent itself as a financial technology hub and with the flexibility of their regulatory structure; it is only a matter a time that they achieve this feat. The intersection of Digital Technologies and financial services has paved the way for exciting and innovative changes in the market. However, the key challenge which threatens the momentum of this growth is “CYBER SECURITY”. The dynamism and complexity of the digital financial ecosystem demands a robust plan against cyber-attacks. While technology is helping enable enormous progress in bringing financial services to the many people who have previously been excluded from the formal financial system – Do we really have a national cyber security infrastructure to support this growth? Join EC Council at the FinTech Security Summit scheduled for the 25th August 2017 at Singapore to find out. As the relationship between technology and financial services deepens, so do the threats posed by increasingly sophisticated hackers. No market is directly affected by it more than the financial services. With this conference we will focus on creating a dialogue between important stakeholders of the market on topics like developing a vibrant ecosystem, becoming a safe financial center, cloud and IoT security. With the pace of technological upgrades in the market, it is obvious that the role of the security professionals has undergone a massive change. From being technical heads to strategists in the organizations, security professionals have had to up their game to be in sync with the modern day trends of providing flexibility of access to your consumers while safe guarding your back end systems. At the FinTech Security you will witness a discussion and debate on some of the most promising technologies poised to change the financial services sector of the ASEAN market. EC Council proudly presents it prestigious skilled based training program, C|CISO Training workshop which is scheduled for four days preceding the Fintech Security Summit, from 21st – 24th August, 2017. The exclusive 4 days training session will be concentrated on developing your skills in all the five C|CISO Domains; Governance, Audit management, Project management, Information Security core competencies and Finance management. Training will be provided by: CHARLES (CHUCK) MCGANN from COO, McGann Consulting Group – Cybersecurity Consultant. Mr. McGann belongs to various international, regional, and local organizations such as the Government Technology Research Alliances’ group, FBI InfraGard, National Security Agency (NSA), and Information System Audit and Control Association (ISACA) to name a few. Register now with code 20ECFNS for 20% discount. Join the best ranked briefing on global & APAC payments / transaction developments in Singapore! 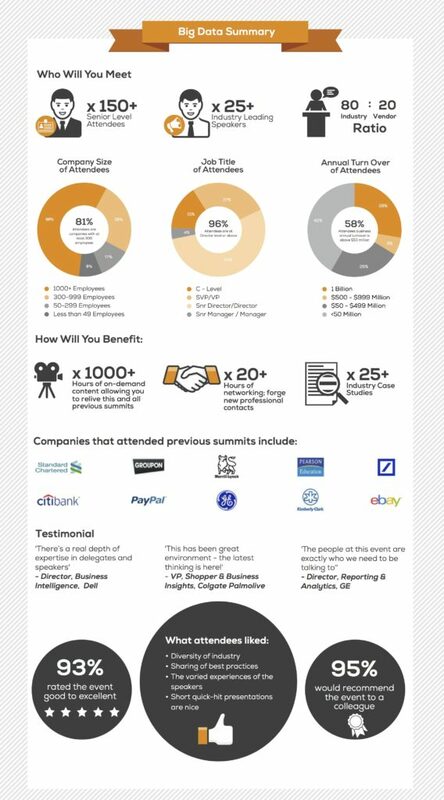 GlobalPaymentSummit is a strategic & pragmatic - for & by senior professionals – platform. GPS covers key trends in the payments and the transaction space. By exchanging the key trends, best practices and workable solutions, we deep-dive into topics and innovations affecting the business directions for the future. We focus on developments in the “Smarter Transaction Space” and more cooperative solutions next to further disintermediation. The 2017 program delivers a broader perspective than just 'the payment' , on-boarding, identity, security, and x-border transfers. Join GPS - a true learning curve and networking with leading practitioners in the field. On September 1, Humaniq opened an international competition of blockchain projects to improve the lives of the world’s unbanked people by integrating them into the global financial system. 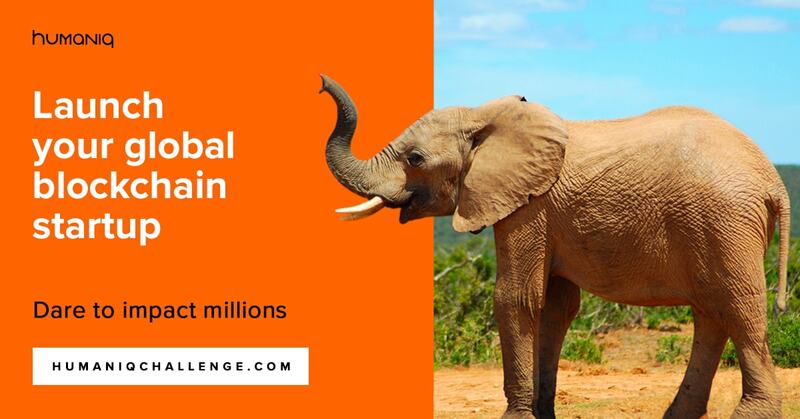 Winners will refine their ideas on an all-paid trip to Kenya, then receive support in launching an Initial Coin Offering (ICO) and an opportunity to join the Humaniq accelerator. The challenge aims to identify startups that will maximize Humaniq’s humanitarian potential and will become effective business partners on its infrastructure. We invite entrepreneurs, blockchain projects developers, programmers, marketing specialists, and economists to enter the competition in teams or individually. The Humaniq Global Challenge international competition opened to applicants on September 1 and will close on September 30, 2017. On October 3, a list of 30 semi-finalists will be published. These teams will present their ideas and will show prototypes of their solutions on October 13. After the resulting competition on October 16, the jury will select 10 projects as finalists. These projects will receive support from experts, wide PR coverage, opportunities to obtain investments, and a chance to enter the Humaniq accelerator. The three best projects will be announced on October 20. Their teams will go on an expedition to Kenya in order to explore the lives and financial habits of the unbanked and thus refine their projects. The expedition will take place from October 28 to November 4, 2017. Journalists and a professional guide will accompany the group. To participate, apply with your startup idea or a presentation of your finished project at www.humaniqchallenge.com. Competition rules and expedition details can be found at www.humaniqchallenge.com. Contact the organizers at challenge@humaniq.com. Find more information about the Humaniq project at humaniq.com. TECHX Asia 2017 will address the new possibilities arising from new emerging technologies such as IoT, Drones, 3D, AI, GPS, Robotics, Blockchain, Data and Cybersecurity. The conference will cover the digital disruption brought by these technologies and how they are transforming variety of industries including resources, agriculture, factories, logistics, transport, construction, utilities and cities. Over two exciting days, 240 inspirational speakers and 85 exhibitors and start-ups will be demonstrating the various applications to help business survive and thrive in the new digital economy. 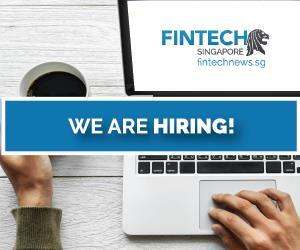 Get 10% discount by using code "LNMK" with Fintechnews Singapore. The 3rd annual Chief Innovation Officer Summit is taking place in Shanghai on September 6 & 7, at the Shanghai Marriott Hotel Parkview! The summit aims to gather over 100 innovation, R&D, IP, technology executives from a diverse range of industries. View the summit agenda here which is packed with real knowledge sharing keynote presentations, interactive panels & networking sessions. This is a great opportunity for you and your team to discover how some of the biggest companies worldwide continue to optimise their innovation processes, how they remove roadblocks when implementing new ideas and how they sustain their competitive success. Secure 20% discount off your ticket here. Don't miss Asia's #1 Customer Experience Summit! Taking place in Singapore on 12-14 September 2017, the 5th Customer Experience Management Asia Summit will be the place for you to uncover the latest CX trends, investments and initiatives in Asia. For more information, download the full brochure here. Early Bird: Save SGD $200 when you book and pay before 11th August. Get an additional 15% off with our exclusive promo code "21639.010_Fintechnews_EE2"
With the success of BankTech Asia Manila Conference & Exhibition in 2016, we will be returning to Manila on the 19th and 20th September 2017. This year promises to be even bigger and even better, BankTech Asia Manila Conference & Exhibition in 2017 will address a plethora of trends, issues and opportunities that are unique to Philippines in the space of banking technology and fintech. 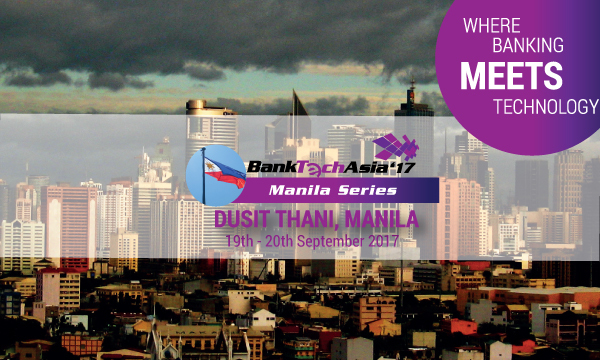 Join us at the BankTech Asia – Manila 2017 to expand your horizons with key industry influencers and decision makers, recognize leading-edge products and solutions, and discuss best practice strategies for applying innovation within your organization. Organizations are looking forward to transform to an automation process to reduce operational costs and increase productivity. As per the reports, Asia Pacific has been accounted for over 9.5% market share in the year 2015. The Process Automation & Robotics Asia Summit explores how industries can consider RPA as an effective strategy to maximize impact. The summit will focus on the use of robotics to reduce cost and remove errors aiding financial institutions to provide better customer experience. The event will be helpful in figuring out how to legitimize the business care for RPA and how to introduce RPA to your organization. RPA roadmap for the future – is it the start or the end? Join us for a week of exploration and discovery into the hottest topics in fintech! Organised by the INSEAD Fintech Club, our mission is to educate you on major trends in fintech and inspire to action from our next generation of fintech leaders. We have brought together the biggest players in the industry and will focus on a different topic in fintech everyday. Every evening for the week of 9 - 12 October, come and hear what incumbents and startups are doing in their space, and network with the who's who in the fintech industry. Grab your tickets now - spaces are limited. 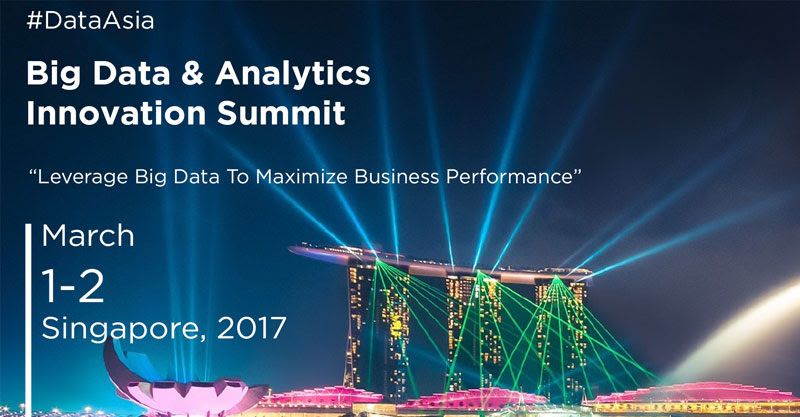 Big Data Analytics & Effective CEM Strategy in Financial Services World Summit 2017 draws together highly-regarded expert speakers from across the ecosystem of financial services industry and big data analytics solution providers to present to you the latest key trends and development in big data analytics and effective CEM strategy. The highlights of the summit will be Perspectives and Case Studies to be shared by senior professionals from financial services companies on their experience in implementing big data analytics and CEM strategy in their businesses. Data Analytics in the IoT Ecosystem – and Beyond! As finance becomes digital, understanding financial technology (Fintech) is more and more critical to succeed in finance. However, learning Fintech can be an intimidating journey because of its complexity, its pace of change and the “noise” around Fintech. To help you acquire the right knowledge, we have designed a structured course in 16 modules that teaches the essential concepts to understand the impact of technology in finance. CFTE developed the course with 4 experts who know the industry inside out, and initiated the Fintech initiatives at Oxford Said Business School, Imperial College, Hong Kong University and Singapore Management University. In addition to the structured curriculum delivered by the 4 experts, Around Fintech in 8 hours featuresexclusive insights from 16 Fintech CEOs, heads of innovation and global investors – for you to understand what is the reality behind Fintech. The FinTech Investor Forum is bringing together Europe's most influential FinTech investors, start-ups and deal-makers andexplicitly distances itself from mass exhibitions that are becoming far too common in the FinTech industry. The Forum is unique due to its exclusive format, as we believe maximum ROI is achieved through our focus on networking and face-to-face discussions rather than corporate branding and mass exhibitions. Our forum will bring together 100 senior-level investors, corporate acquirers & deal-makers alongside 100 CEOs of VC-backed start-ups. Asia's largest shared services and outsourcing summit once again gathered industry leaders from around the region to discuss the critical challenges and opportunities facing the market in 2016 and beyond. How do you retain your competitive advantage, (re)strategise your shared services delivery model and deliver exceeding value in an increasingly automated environment? How is robotics and intelligent automation being implemented, executed and measured? Where do you sit on the maturity curve spectrum and how do you leapfrog and accelerate up to the next level? Against the backdrop of an increasingly automated and digital environment, the 20th Asian Shared Services and Outsourcing Week Summit will deliver for the first time, and unprecedented line-up of global and regional Heads of Shared Services to discuss and debate critical strategies on how to stay agile and competitive. Register here and get 10% off with code "FINTECH_10"
With the success of BankTech Asia Jakarta Conference & Exhibition in 2016, we will be returning to Manila on the 22nd and 23rd November 2017. This year promises to be even bigger and even better, BankTech Asia Jakarta 2017 will address a plethora of trends, issues and opportunities that are unique to Indonesia in the space of banking technology and fintech. Join us at the BankTech Asia – Jakarta 2017 to expand your horizons with key industry influencers and decision makers, recognize leading-edge products and solutions, and discuss best practice strategies for applying innovation within your organization. Mondato Summit Asia is an executive thought leadership conference that delivers indispensable knowledge, practical solutions, stimulating engagement, and invaluable networking. Sitting at then crossroads of a diverse set of industries – from tech to financial services, telecom to retail, Mondato Summits occupy a unique space, creating a space for stakeholders to better understand and engage the multifaceted and evolving digital finance and commerce (DFC) ecosystem. GET $150 Discount with Code "FINTECH150"
BlockShow is coming to Singapore! BlockShow Asia 2017 powered by Cointelegraph is one of the largest platforms showcasing Blockchain solutions, bringing the hottest startups, ICOs, and unconventional sensations. The conference will take place November 29-30, 2017 in Singapore with hundreds of people and many companies that have already discovered the show. As an international platform, BlockShow attracts plenty of investors, venture funds and entrepreneurs from all over the world who are searching for new projects and business perspectives. Participants enjoy a unique opportunity to grow their companies and attract new clients. The main goal of BlockShow Asia 2017 is to reveal Blockchain sensations - by which the event team implies the whole spectrum of special announcements and updates. The conference guests will witness some brand new releases from the biggest Blockchain players, the most successfull ICOs’ launches, as well as some exclusive insights on how Blockchain is being utilized in 6 global industries, such as Finance, Healthcare, Retail and more. Moreover, the representatives of regional governments will meet right at the BlockShow’s main stage to share their vision and actual plans for the Blockchain implementation. BlockShow Asia will unveil 1000+ attendees, 50+ speakers, 40+ exhibitors along with many startups, companies from across the globe and much more. Learn more and register for BlockShow Asia 2017 here. You can use our exclusive code FINTECHSIN35 to get 35% off all event tickets. There will be an Asia startup conference at COEX, Seoul, South Korea for 3 days from Nov. 30 – Dec. 2, 2017, hosted by the Ministry of SMEs and Startups and organized by 500VOLT TWO Inc, Brandcook, Korea Foundation for the Advancement of Science & Creativity, Korea Institute of Startup & Entrepreneurship Development, Korea Foundation for Cooperation of Large&Small Business, Rural Affairs, Korea Business Incubation Association, Korean Venture Capital Market. This is Asia’s first largest Asian startup conference to celebrate and build up networking with investors, accelerators, startups, media, and organizations which are all gathered under one place. During the event, startups will be matched with investors, global media, and organizations through a matchmaking process. There will be a lecture by guest speakers from domestic and abroad and a special booth for Asian startup conferences to make for a great and enjoyable experience. Artificial Intelligence (AI) is expected to add $15.7trillion to the global economy by 2030, and investment in AI is expected to grow by 300% in 2017 alone; as reported by PwC and Forrester respectively. We now see businesses jumping on the AI bandwagon to build their competitive advantage and drive growth. However, AI is a high stakes game. It is a time, capital and resource intensive investment – and there is no room for failure. The question is no longer about what AI can do for you, but HOW can you successfully get your AI strategy in place, and HOW can you effectively leverage AI to boost business outcomes. The first of its kind in Asia, AI for Enterprise Asia 2017 has been specially designed with 100% focus on real-world case studies and practical “How To” content – just for you. Bringing together end-users and key decision makers from different industries, this conference will equip you with all the necessary information you need to get started, and ensure that you create the right conditions for AI success. Register by 6th October for $600 off early bird discount. CFTE’s online Fintech course, Around Fintech in 8 Hours, is open again for registrations. The innovative programme, designed in collaboration with four senior and experienced Fintech lecturers’ plus 16 industry experts, delivers content of the highest quality. Four chapters, led by one lecturer, provide a comprehensive breakdown of the core Fintech concepts. In addition ,each chapter has 4 industry experts who lend their expert insights that consist of first-hand experience to show learners, with real life examples, how Fintech in creating a new type of finance. To learn more about the course and what alumni are saying, visit here. 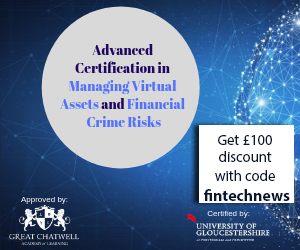 And for our readers here is a special £30 discount off the course using code: CFTExFINTECHNEWS. 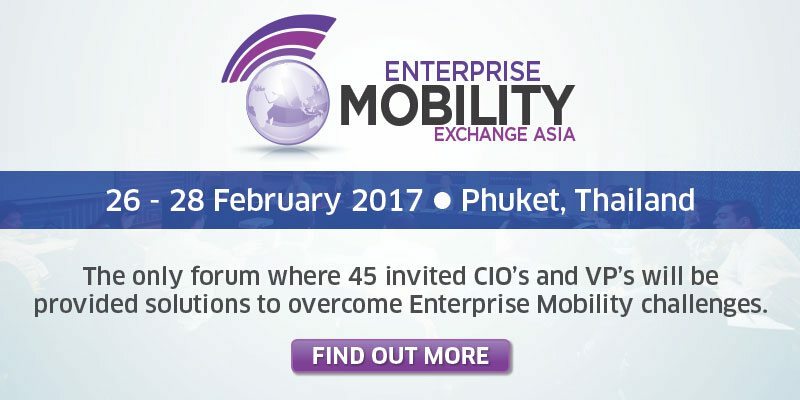 Catch the future of insurance in Asia in real-time with an exciting agenda built around business challenges and innovative solutions. Hear where the market is heading, what tech insurers are looking for, and the areas attracting most investment. Get up to speed on the latest InsurTech developments and grasp where they fit in to the bigger picture of the insurance industry’s digital transformation and your own business strategy. Connect with the people shaping the future of the industry in Asia today and take the debate beyond the main stage. InsurTech Rising Asia brings insurance's digital leaders and C-level executives, InsurTech entrepreneurs, investors, techies all under one roof. Get face-to-face with the innovators driving change during our interactive workshops and networking sessions. Get to grips with the tech that will transform the industry, from blockchain to artificial intelligence. Hear case studies at the cutting edge - no hype, no 'pie in the sky'. Quote VIP code FKN2577FNSL for a 20% discount. Co-hosted with AusPayNet, the inaugural Australian Payment Summit is a strategic & pragmatic - for & by senior professionals – platform. APS covers key trends and discusses global lessons, Fintech and what lies ahead in developments. By exchanging the key trends, best practices and workable solutions, we deep-dive into topics and innovations affecting the business directions for the future. Register here and get 10% off with code "FNSG20"